ArthurRansome is a Legacy Library. Legacy libraries are the personal libraries of famous readers, entered by LibraryThing members from the Legacy Libraries group. » Arthur Ransome's legacy profile. ArthurRansome is also an author. » See Arthur Ransome's author page. About meArthur Michell Ransome (18 January 1884–3 June 1967). "I seem to have lived not one life but snatches from a dozen different lives". Bohemian, literary critic, sailor, fisherman, chess-player, and author of fairy-tales and folk-tales. Foreign correspondent and witness to the Soviet revolution, suspected by some in the UK and US governments of being a Bolshevik. A go-between between the Soviet government and the newly-independent Estonian government during the Russian civil war, and eventually husband of Trotsky's secretary. His politics: "Fishing". Scotland Yard and MI5 eventually decided that, for their purposes, he was "one who reports what he sees, but as one who does not always see straight" (MI5 file, 1927). But then, they never got his name right, so what did they know? Only later did he start on the careers for which he is mainly known now, as a writer about fishing and sailing, and the author of one of the best-loved children's series in the English language. Further reading: Autobiography ; Bibliography ; Biography ; Correspondence. About my libraryArthur Ransome (AR) lost his first library, built up during his London years, as a result of his divorce from his first wife. A number of titles are mentioned in his works, but for the most part this library is a closed book. Following his death in 1967, most of his second library was sold to Ronald Hollett, the bookseller. Hollett's fifty-six page typescript catalogue is the starting point for this Legacy Library. In October 1968 the Pollak Library at the University of Southern California at Fullerton bought the collection, as it fitted well with their pre-existing angling, Russian revolution and children's literature collections. Hollett's account of the affair can be read on the company's website. The Pollak Library used some of the books to establish an Arthur Ransome Collection (currently c.192 items), used others to fill gaps in their (other special collections / general?) holdings, and sold the rest. Evgenia, Ransome’s widow (d. 1975), kept back a number of books, said to have been those of which AR was especially fond. These books were donated to the Abbot Hall Museum of Lakeland Life in Kendal, Cumbria. The museum has a list of these books, which is in the process of being added to this Legacy Library. These include a number of nineteenth century books on fishing, fairy tales and Icelandic sagas, that must have come from his parents' libraries, Cyril Ransome (1851-1897) and Edith Ransome (1852-1944). Abbot Hall - AR's books at Abbot Hall Museum of Lakeland Life in Kendal. I am currently about half way through these. This is an active collection, with AR's copies of various books, and new editions of works by or new works about AR being added as they came to hand until at least 1980. Books published after 1967 have not been included here. Fishing - "When the National Book League invited me to glance over the whole field of English books on fishing I at first rejoiced in what I thought would be the easy task of helping such a young man as once I was to choose the books that should form the nucleus of his fishing library, but presently despaired, remembering the great variety of young men and the incredible number of fishing books among which they have to choose. ... I propose to give no advice, but instead, to look along my own shelves and give a free rein to favouritism" (Arthur Ransome, Fishing, 1955, p. 9). Hollett - Ronald Hollett's fifty-six page typescript catalogue, arranged into manuscript material (1 p.), proofs (1 p.), modern detective novels (1 p.), poetry & essays (3 pp. ), chess (2 pp. ), post-war biographies etc. (8 pp. ), substantial books (6 pp. ), Everyman's Library (4 pp. ), sailing & the sea (12 pp. ), Russia & China (6 pp. ), fishing (10 pp.) and sets (2 pp.). Lakes & Pirates - AR's list of a dozen books "for children who had enjoyed his books and were eager for more ideas about exciting reading", reproduced in Christina Hardyment, Arthur Ransome & Captain Flint's trunk (1984), p. 220. The list also recommends the works of Captain Marryat, John Masefield and Joseph Conrad. Mentioned - books referred to in his autobiography, biography, correspondence etc. as having been owned, borrowed, read etc. The reference will be given in the Comments column, to give some context. And added as a Member's Review if appropriate. I would like eventually to include references from AR's diaries, but another member of The Arthur Ransome Society (TARS) is currently working on them, and has a prior claim on publishing them. Reviews - Ransome was a prolific reviewer. "... Edward Thomas, come up from Kent with a bag full of books he had reviewed. I went with him to Thorp's across the way, where he emptied his bag and sold the books and then walked along the Strand to Fleet Street and so to the office of the Daily Chronicle where he refilled his bag with new books to take home with him and review in the country ... Reviewing [for the Week's Survey] was a great help because I was paid twice over. I was paid for writing the reviews and soon found myself, like Edward Thomas, selling the books at one-third of the published price to Thomas Thorp in St Martin's Lane" (Autobiography, pp. 82 and 86, for 1903). The few books/reviews currently in this collection are merely placeholders. The 'Hammond' number in the comments field refers to the reference to the review in Wayne Hammond, Arthur Ransome : a bibliography (2000). Pollak - AR's books listed in Hollett's catalogue that have identified in the Pollak Library OPAC have been tagged Pollak. More information is given in each book's Comments field. Rupert Hart-Davis - See the tag 'post-war biographies etc.' below. AR had a long relationship with Rupert Hart-Davis, including AR trying and failing to make a fisherman of RH-D. After AR's death, Hart-Davis became his literary executor and editor of his autobiography. AR's library holds many Rupert Hart-Davis Ltd books. AR was an investor in RH-D, eventually losing much of his investment along the other early investors. "Ransome had bought a few shares in Hart-Davis's publishing company after it was set up in 1946. It was when he was over-committed at Lowick Hall or he would probably have bought more. The firm prospered in every way except financially, and in 1955-6 it was taken over by Heinemann, which itself was owned by a company called Tillman. Hart-Davis wrote to George Lyttelton (11 December 1955): 'My original shareholders, poor lambs, will lose half their money (which they've long expected to do, for the shares were written down by half some three years ago) ...' (see Lyttelton-Hart-Davis Letters, i 410.)" (Signalling from Mars : letters of Arthur Ransome, 1997, p. 349). I'm not clear whether AR had so many of RH-D's books because as an investor he was sent a copy of each one as it came out, or because AR took an interest in and supported the company by buying a copy as each one came out. Books are tagged Rupert Hart-Davis as they are identified. There is also a list of Rupert Hart-Davis publications on Wikipedia. fishing - "Ransome wrote in the Golden Age of fishing writing. According to an angling bibliography, between the years just before his birth and the start of the last War, more than a thousand books on the subject were published. He would have known many of them either from personal interest or as a reviewer" (Paul Crisp, Fair cops and glowworms, p. 25). And many of them are tagged here, either in AR's library, or reviewed by him. post-war biographies etc. - Hollett's category 'Post-war biographies, autobiographies, novels etc., mainly in mint DJ's, mostly pub. by Rupert Hart-Davis'. A bit of a catch-all. substantial books - Another of Hollett's catch-alls, 'Substantial books left out of first listing', and containing most of the pre-WWII books that do not fall into one of the subject categories. A few of the other tags overlap. Books tagged poetry & essays come from that section of Hollett's catalogue, while essays & belles lettres and poetry & drama tag books from those sub-series of Everyman's Library; they all come from that literary end of the literary spectrum. Meanwhile, chess and sailing are used to tag books from those sections of Hollett's catalogue, and biography, fiction, history etc. are used to tag the various sub-series of AR's Everyman's Library books; they are also used to tag other chess books, fishing books etc. in other collections. With one exception, my current definition of a favourite author is someone with half a dozen titles in the library. However, unless a number of authors, including Andrew Young (currently on five titles), Frederick Marryat (1) and Joseph Conrad (0) come through as the catalogue progresses, that definition may find itself tweeked. The exception is Sergei Aksakov, "the first and most delightful of Russian writers on fishing" (Rod and line, 1948 ed., p. 7), "who said that trout-fishing was 'too restless' and preferred to watch his float. No man has written as well as he of the ecstasy felt by a boy as he comes to the river and of the calm happiness felt by an old man fishing in the evening of his life the waters he knew as a boy" (Fishing, 1955, pp. 7-8). A book's Comments field can contain one or more of a number of references: Abbot Hall, Garnett and Hammond. (i) Abbot Hall's collection of AR's books are numbered 1-1865. (ii) The Garnett numbers (1-635) in the comments column refer to Richard Garnett's Rupert Hart-Davis Limited : a brief history with a checklist of publications (2004), which lists the books published during the period of RH-D's personal involvement with the company, 1947-1963. 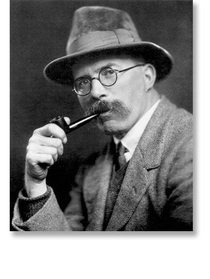 (iii) The Hammond numbers refer to Wayne G. Hammond, Arthur Ransome : a bibliography (2000). (iv) I would like eventually to add bibliographical references for AR's sailing and fishing books, presumably Ernest W. Toy Jr, Adventurers afloat : a nautical bibliography, a comprehensive guide to books in English recounting the adventures of amateur sailors upon the waters (New Jersey : Scarecrow Press, 2 vols, 1988), and possibly either James Robb, Notable angling literature (Herbert Jenkins, 1945), or Callahan & Morgan, Hampton’s angling bibliography : fishing books 1881-1949 (The Medlar Press, 2008), unless someone can suggest another that includes fishing books published as late as 1958. This Legacy Library is very much a work in progress. And for the avoidance of doubt, neither the AllThingsRansome website nor the Twitter account are connected with this Legacy Library, nor, for all I know, with each other.